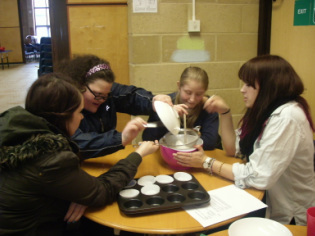 "Saturday Club" is aimed specifically at young people from Crowdy's Hill School, Swindon. The group is run by emerge adult and Trainee Volunteer Leaders once a month. Last workshops we used themes from different cartoons and explored different media, such as dance, singing, drama, art, crafts, cookery & games. These workshops are generously funded by Zurichcares. We hope to resume our workshops this summer!